Welcome to Tuesday at SuperPhillip Central. Once again it's time to unleash another load of Best Levels in Gaming History. A reminder to all of you to vote on July's new poll. It's all about sports games. Like 'em or love 'em, they're a tremendous source a revenue for the industry. Regardless, today we're once again taking a look at the best levels in the history of gaming. This is part three, so let's get this party started! Watch out, kids and kiddettes, as there's spoilers for this final level of Super Mario Galaxy. The last challenge of Super Mario Galaxy features some of the most death-defying and complex level design in series history from spotlights that alter the gravity when you are inside them to dangerous planets made up of deadly lava, ice, and quicksand. There's a section where blocks materialize, drawing a path for you to run through, wall jump, and pass between lava bars. The closing section has to be my favorite as it's a gigantic 360 degree tube consisting of Bullet Bills being shot at Mario and Thwomps which wish to crush Mario beneath their tremendous girth. An impressive final romp, indeed. Sunset Shore is a gorgeous level thanks to the silhouette effect as noticeable in these screens. 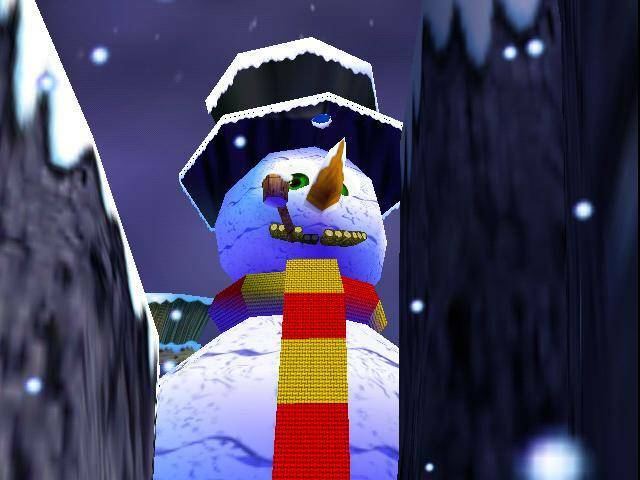 The level itself isn't too difficult, though you need to purchase a key from Cranky Kong to access it. There's five hidden puzzle pieces to collect here from hidden alcoves to ground-pounding platforms to situate them to enable DK and Diddy to leap on them. The only caveat to Sunset Shore is that seeing enemies is more difficult as they tend to be camouflaged by the power of silhouettes as well. This hostage rescue mission takes Bond, James Bond, into the trenches of London's subway system to take care of a little bomb problem. Immediately the action gets intense as terrorists fire at 007 as he runs down the escalators, going lower and lower into the subterranean depths of the subway. After rescuing the hostages and after several flights of steps downward, James must time his run through a tunnel where an intermittent train speeds through, an instant kill if Bond gets hit by it. Timing this just right, Bond can sneak his way through to a small storage room to the inside of a subway. Eventually Bond reaches the bathroom where the bomb is located. 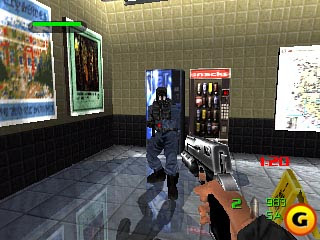 A mini-game is played to disarm the bomb. After this, it's just a skip and a jump to the end of the level. Brrrrr! It's mighty cold here! From the high heights of the gigantic snowman with pipe in tow to his swirling red and yellow scarf to the Christmas tree to the smaller snowmen chucking snowballs at Banjo and Kazooie, there's a lot to see and do. Mumbo-Jumbo will turn the pair into a walrus so Wozza will happily invite you into his cave. 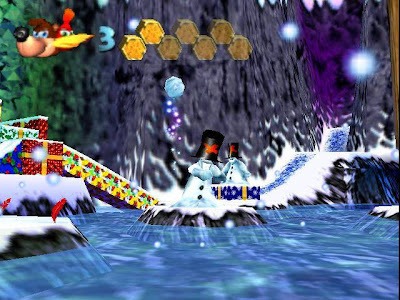 If platforming isn't your cup of iced tea, you can always run a race against the father of three bears. Freezeey Peak offers a great glimpse of a winter wonderland, and that's why I chose it as part of this list. Trick out through the city streets of City Escape. Rollin' around at the speed of sound. Got places to go, gotta follow your rainbow. And follow it you shall as you trick off ramps, ski down slanted streets, and run from a crazed truck. 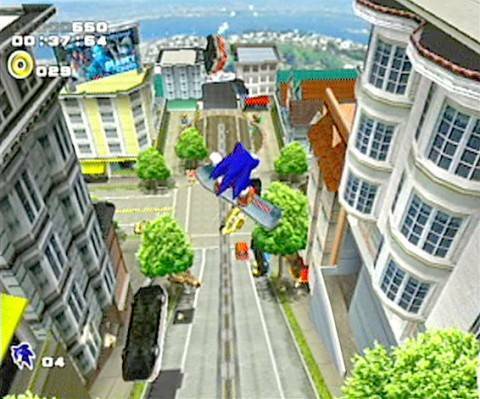 City Escape is the first level in Sonic Adventure 2, and it offers a lot of thrills and chills as Sonic the Hedgehog runs from G.U.N. 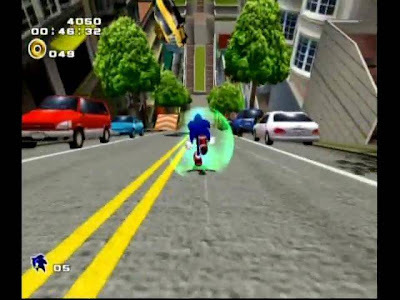 forces confusing Sonic for Shadow the Hedgehog. Grind rails, hand out some homing attacks to enemies, and roll around the city streets of this excellent opening level. So ends another installment of Best Levels in Gaming History as inspired by GameTrailers' series. Have a level you love that isn't listed? Let it be known in the comments.